Whipping up more storage space in a small home is no easy feat unless you know about IKEA's ​Trones – inexpensive wall-mounted shoe cabinets. Yes, they were created to stash shoes. But, their slender design makes it possible to transform untapped wall space in narrow or small spaces like hallways or bathrooms. Here are nine inspiring ideas. Two things make IKEA Trones a standout when it comes to small space storage. First off, they are cheap. A set of two costs $24.99. Next, they are super compact. They are only six and a half inches in depth. They're a great solution in tight spaces where traditional shelving may not work. The Trone featured here is being used as an entryway landing strip for house keys and mail. Here is another good to know: IKEA Trones are stackable. 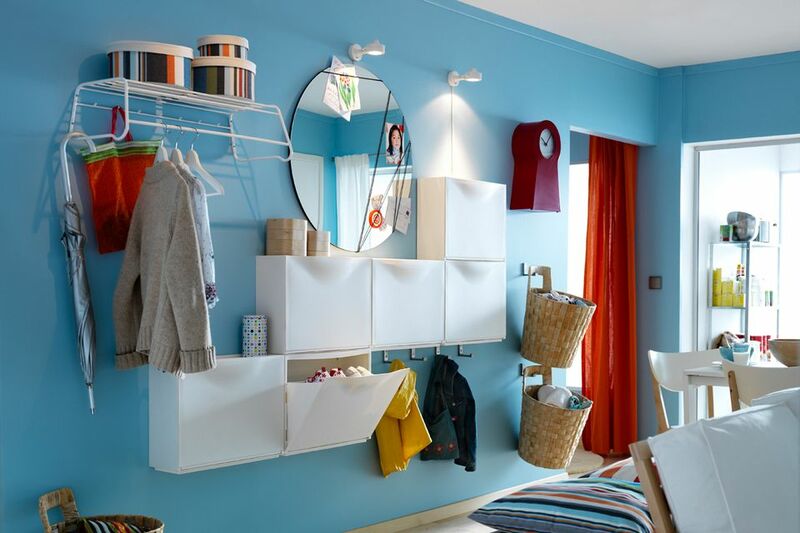 So you can line up as many as you like to create a floor-to-ceiling storage wall. Trones are perfect for small nurseries. They can be used to stash stuffed animals, diapers, and your baby's clothing. Trones are perfect for narrow entryways that do not have room for traditional foyer storage solutions. The cabinets shown here keep winter and rain items like hats, gloves, scarves, and compact umbrellas out-of-sight. If you do not have an inch of cabinet space in your kitchen to spare, a few ​Trones can create additional storage for essential items. Here's a useful space saving tip. I use them as recycling bins because they're super easy to clean. Trones are easy to customize using decorative tape, contact paper or peel and stick vinyl as shown here. For some inspiration, check out these super easy customization ideas.